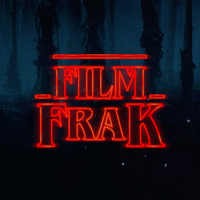 FilmFrak’s Adam & Jon both share not only an obsession with cinema but also a passion for science and astronomy. The chance to view the technological wonder that is this new documentary IN SATURN’S RINGS and interview its Director Stephen Van Vuuren was a highlight of the job. We hope you glean as much from this interview as we did doing it and that you all make sure to take a look at this truly impressive documentary deliberately designed to echo into the future. If, like us you find inspiration in the interview scroll to the bottom of the page after reading for some mind-blowing stats about the film and fascinating links about how it was created. Stephen Van Vuuren: This was definitely a 14-year career detour but it came out of a childhood dream. As a kid I wanted to be an astronaut and devoured every book I could on the subject. That led me to Carl Sagan’s “Cosmos” and reading about Saturn’s moon Titan, I imagined myself being the first astronaut to land on Titan and discover alien life. That dream did not work out, but over the years I kept following space exploration, especially when the Cassini mission launched as not only was Saturn my favorite planet but Cassini carried the Huygens lander – our first landing on an alien moon. I was stunned that so little media coverage for Cassini-Huygens was present. I wanted to do create something that would capture these real images and present them in such a way that people would feel that we were there. It took a couple of years to figure out what that might be and In Saturn’s Rings is the result. 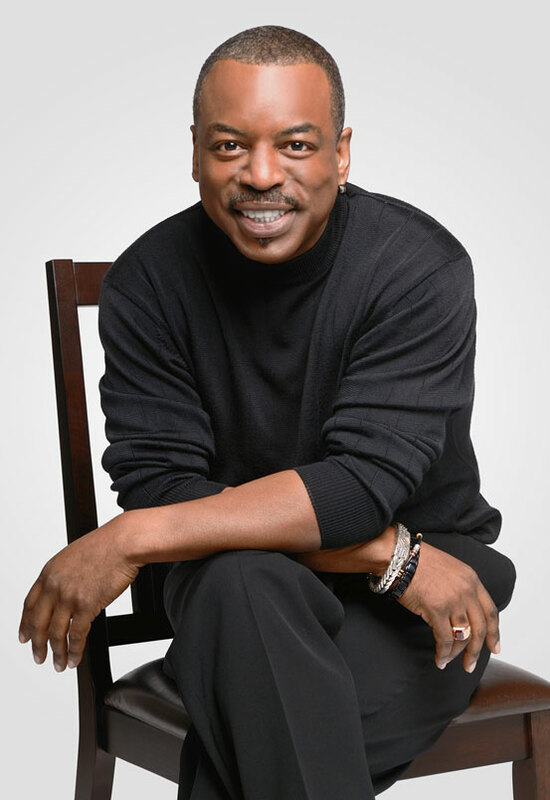 Stephen Van Vuuren: I actually was a fan of LeVar from Roots and STNG – RR was past my time although I did back the Kickstarter. The film started out early as a narrated film but then became a film with title cards, music and no narration. 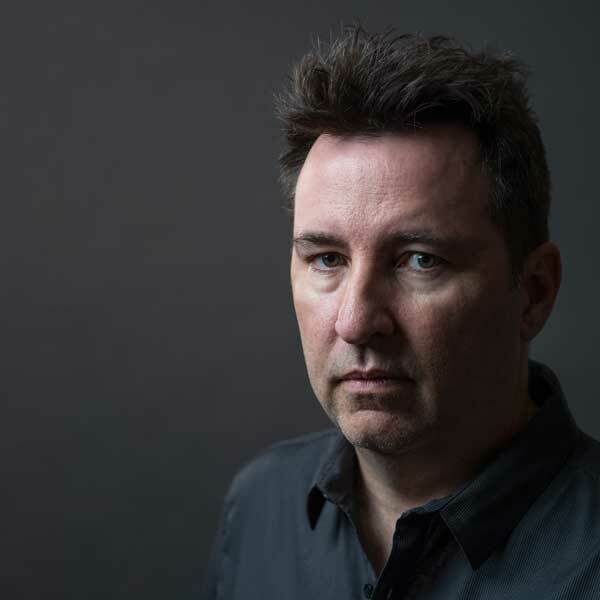 In the last year of production I realized narration was going to be needed, but I was very concerned about the choice of narrator – it can truly make or break a film and given that this film dealt with big subjects, not just anyone would do. LeVar was actually our first choice and his agent and he were both open to the project from first communication so it felt like it was meant to be. Stephen Van Vuuren: It’s pretty complex – thus under “BTS” and “History” on the film’s website, there is tens of thousands of words about it. But in short, I took Walt Disney’s pioneering multiplane camera concepts. (he explains them far better than I can) and combined that with 2.5D Animation used in the film “The Kid Stays in the Picture”. and then took these far beyond as necessity was truly the mother of invention – we needed something far more complex to avoid having to resort to 3D CGI or other VFX techniques. I was pretty new to this in 2004 when I started so there were a lot of years of learning, mistakes and discovery. We ended up going from a few layers to over a million for a couple of shots and using a lot of math to help make it all word with scientific accuracy. Stephen Van Vuuren: In digital, currently only the 8K+ Fulldome systems from E&S and the 8K monitor from Dell (which I cannot afford). I have tested the clip on 8K fulldome system. Once 8K TVs start shipping they should be able to provide the full resolution of the film. In film, Fotokem is experimenting with 8K film recording to 15/70mm but AFAIK, has not done so yet. We would need a corporate sponsor or angel to cover the $250K it would cost to output film that way. I do have 2 minutes of Saturn footage film recorded at 6K that I’ve screened in IMAX film theaters. The 32-bit color depth processing was critical to make sure the film would reveal details not present in the 8-bit images people usually see and to insure the film looks great on OLED, film and future display technologies. Stephen Van Vuuren: First, the images really feel real when the level of detail approximates what you might see with your own eyes. This fact is why I think 4K trumps 2K 3D (and why it is doing so in the marketplace). Second, it’s unlikely any cameras will visit Saturn in our lifetimes, so I wanted the film to still be watchable and powerful in future tech and guessed that 8K would be an affordable reality by 2025 or so (we will see if I’m right). Stephen Van Vuuren: The shot of the 5.5 million galaxies is it because it may not be the sexiest shot until you understand what it actually is. Galaxy shots like this in CGI, even if the biggest blockbusters look far sexier – lens flares, blues, purples, reds but our shot shows what utter fantasy those are. Also, CGI shots have only thousands of galaxies – render times would be unworkable if the rendered the universe is it really is- in films, space is ironically much emptier that it really is. But most profoundly, the dominant color in our shot is a pale yellow which is not what a creative visual designer would choose for a space shot. Consider this though – galaxies are made of tens to hundreds of billions of stars. Stars mostly appear white in color if you view them from space (despite what we see even in science images) including our own sun. We know from science that all galaxies are moving away from us very, very fast. This move the electromagnetic spectrum towards red – known as red-shift. It’s a fundamentally truth of our universe. The 5 million galaxies in our films are photographs of untold trillions of white looking stars shifting towards red – that’s yellow. After 4 years of work, when saw our 5 million galaxy shot, a view of the universe never seen before, it was humbling and awe-inspiring to see how it brought this science to life. Stephen Van Vuuren: In fact all of the team that worked on the visual either was volunteer or donated images. We actually divided into lots of small teams with their own leaders. Bill Eberly, Jason Harwell and Ian Regan, our lead volunteers ended up becoming critical segment producers that made this work – tirelessly working on the project for many years as volunteers. Stephen Van Vuuren: I think we are at dark time with glimmers of hope. Our space effort above low Earth orbit is weak and struggling. But the current internet is publicizing missions like Juno and New Horizons better now than when Cassini launched. But still, only some like SpaceX is breaking out much and they are not focused on deep space (yet). NASA has no true flagship missions fully funded to deep space either. I’m a natural optimist but with deep space exploration right now people get far more excited by virtual reality than actual reality so without some major event or effort on a Apollo or global disaster level, I’m not sure we will change our ways anytime soon. I do fear humanity taking it’s dark side with it i.e. SpaceX now could be the Weyland Corporation of the future. But I fear more that we simply won’t get off the planet in any meaningful way before we cause problems that prevent exploration from truly getting started. Stephen Van Vuuren: Three things – size, size and size. The human brain and even our mathematics really struggles when you try to actually build models to scale of things like the solar system, our Milky Way or a region of the universe. The universe may be (and I believe it is) full of life – but the reasons we are piled deep in alien invasions is distance. It’s staggeringly bigger than whatever you think it is. Stephen Van Vuuren: I don’t consider myself a religious person but I would never be so bold either to claim atheism. I think simply accepting the sheer unknowable, inconceivable and unimaginable scale, scope and complexity of the Universe is the only truly honest reaction to the grandeur of it all. We’re not worthy. Stephen Van Vuuren: Funny you mention that. During the first years of the film’s exposure, the naysayers were people accusing us of using CGI or tricks. But about 2 years ago, I really noticed a change. The first few confused me when they accused us of using fakery. I replied with my usually multiplane, real images blah blah. But they laughed – it was the Flat-Earthers. Everything in the film was faked before we got it. I honestly was speechless. I did not know how to respond. And that’s nearly 100% of the few negative comments we get – that we are dupes or part of the CGI conspiracy of faking the entirety of space to promote this round Earth. It’s hard not to feel sad, angry and discouraged that this movement is growing. I’m just speculating but the combination of navel gazing that modern technology has produced, not going on outside (outside it’s easy to see that the Earth is round with some thoughtful observations anyone can do) and poor science education has produced an age where facts are being confused with beliefs. Stephen Van Vuuren: All my future projects are narrative driven, sci-fi/fantasy features and shorts. 14 BILLION: The distance in light years traveled through the universe in In Saturn’s Rings. One light year equals the distance light travels in one Earth year, equivalent to nearly 6 trillion miles. 5 MILLION: The number of individual photographs from telescopes and spacecraft combined to create photo-realistic motion in the film. No computer-generated imagery or 3-D modeling was used. More than 50 million photographs were examined and evaluated for use in the film. 675 TERABYTES: The approximate amount of data used to make the film. 1 terabyte equals one million million bytes. 3 TERAPIXELS: The number of pixels (one million million) that make up the background tiles used in the film – the largest composite imaging ever done for a film. 32 BITS: The color depth of the final film. This is equivalent to more than 16.5 million colors, more than the human eye can see, with improved gradients (transitions between colors), shadows, and transparencies. 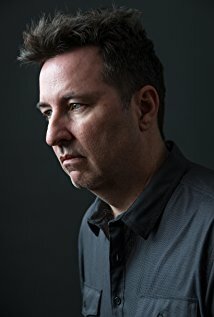 19: The number of computers in writer/director Stephen Van Vuuren’s basement on which he composed the film. In all, over 30 computers were used, up to 21 at one time, in addition to 150 processing cores. 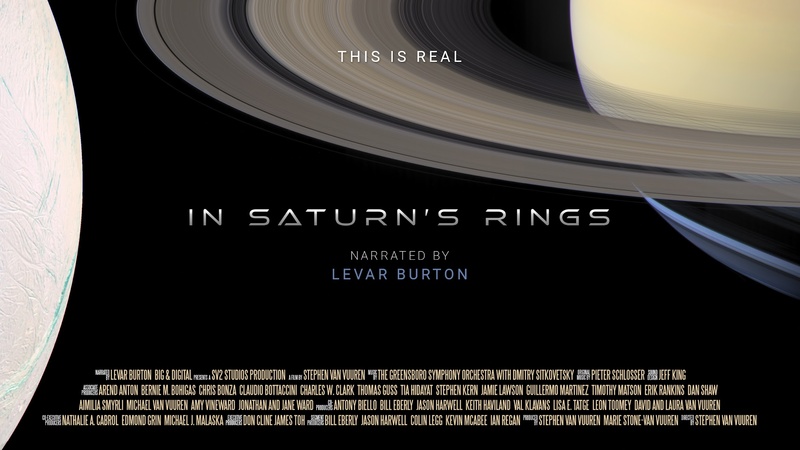 MORE THAN 1,000 individual donors helped finance In Saturn’s Rings, the first crowd-sourced giant screen film. MORE THAN 100 volunteers have contributed their efforts to the creation of the film. The film is being produced at a resolution of 8000 x 8000 pixels, beyond the maximum resolution that can be recorded for 1570 (or IMAX-format) film stock. By comparison, the resolution of a DVD is 720 x 480 pixels, 2K digital cinema, most HD televisions and blu-rays are 1920 x 1080, and 4K digital cinema and UHD televisions are 3840 x 2160. The more pixels, the more detailed an image.